This recipe instructs you in the art of making perfect popcorn. Yet there may still be a little learning curve, a sort of dance, that eventually comes to happen in front of your stove to ensure that your popcorn pops properly. Like learning to increase the heat ever so slightly if a certain inexact number of seconds elapse and you hear nary a pop. Knowing to crack the lid just a touch rather than forcing it tightly sealed to ensure the steam can escape—and to ensure that you escape soggy popcorn. Even—and this is the tricky part—respecting the fact that popcorn requires a minute or two of rest after being pulled from the heat to ensure the puffy white flakes turn from tough to tender. Practice, as they say, makes perfect. Don’t forget that. 2. Working quickly, open the lid just enough to pour in the remaining popcorn. Immediately cover the wok and reduce the heat to medium-low. If you do not hear constant popping, increase the heat to medium. Shake the wok constantly back and forth on the burner until the kernels stop popping, about 1 1/2 minutes. Immediately dump the popcorn into a bowl and season with salt to taste. Perfect Popcorn Recipe © 2010 Grace Young. Photo © 2009 drmuerte. All rights reserved. All recipes and photos used with permission of the publisher. You know I may skip the salt and drizzle the popcorn with a melted butter blended with soy. That’s always an option. Let us know how it turns out. Finely shredded white cheddar. Yum. And I just saw this on (I think) Viking Ovens FB page: Popcorn popped in duck fat, drizzled with truffle oil and sprinkled with truffle salt. Thud. Gasp! Popcorn popped in duck fat. Why have I never thought of this?! Every weekday at 3:00pm, when my 4-year-old son needs a snack and the baby wakes up from her nap, we make popcorn on the stove. I always use my pressure cooker because it’s so tall and just put the lid on top without really closing it all the way. I’m going to have to try this wok idea. Lovely tradition for your children to grow up with, Damaris. Lovely. Hmmm, love using the wok — that’s brilliant, as is the duck fat suggestion. Just made some schmalz and gribenes (with chicken) so we may have to try this over the weekend! How did it turn out with the schmalz? My mom used to make popcorn on the stove as an afternoon snack daily when I was a kid. We had a dog who, even after she was deaf and could barely walk, would pop up like a puppy for her daily popcorn treats. It’s such a lovely memory, but I’ve never managed to perfect my mom’s technique. Perhaps I’ll give this a try tonight, however, I think I’ll skip the salt, butter, or duckfat and go straight for the caramel with a short jaunt in the oven. Even better than stove-top popped corn? Home-grown popcorn – yellow, white or even red. It’s worth a search to find locally grown, fresh(ish) popcorn. My kids think I make the best popcorn. I pop it in ghee and add powdered salt. I like mine popped in olive oil with freshly grated Parmesan cheese and a healthy sprinkle of Tabasco sauce. I eat if for lunch once a week or so. Am so with you on popcorn being considered a proper meal, Sande! You’re very welcome, Jana. And I know that bliss well. I mean, I know my version of your popcorn bliss well, which is teensy organic, non-GMO kernels that pop up hull-less and white as white can be with a slightly sweet, delicate flavor, dressed only with the olive oil they were popped in and some crushed coarse sea salt. Ah…there may be popcorn for breakfast at this rate! Cathy, yes, it should work perfectly. Please report back, k? This IS the Perfect Popcorn recipe! Now after two flawless attempts I deem this method a complete success: perfectly popped popcorn, no burned pieces, and very few to no left over kernels! I will admit, I was skeptical when trying this recipe. I thought for sure the heat of the wok would burn the popcorn, but this method is better than any other method I have previously tired (microwave, large flat bottomed pot, air popper). I used a piece of 18 inch long heavy duty foil and I laid it flush to the edges of the wok lid and folded the excess over the top edges of the lid, so in essence it made a flat surface for the popcorn to bounce off of. The 18 inch foil length helped create a nice seal and fit perfectly on the lid of my wok. While the foil did make clean up a breeze, I also do think the foil served a purpose of keeping the steam closer to the kernels and allowing the popping to be done quickly, in about 1 1/2 minutes once the popping began. Once finished, I wiped out the wok with a dry paper towel since the popping seemed to season my wok effortlessly in the popping process, a win, win! Dawn, it seems like you have this down cold! 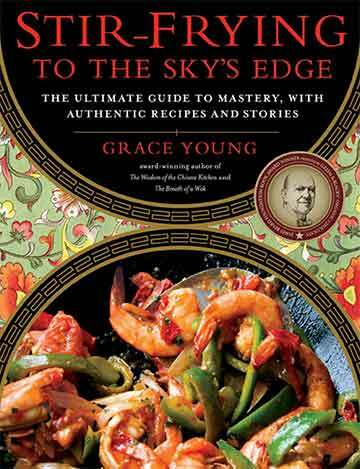 (Or should I say “hot?”) Grace Young, one of my very favorite cookbook authors, really does hit it out of the park with this recipe. So glad you like it. I have used a cast iron wok to pop corn for years. 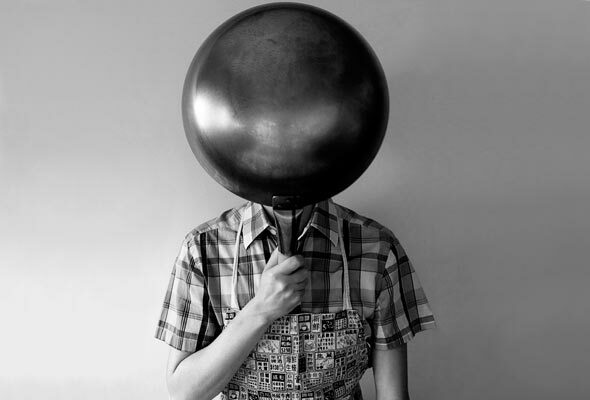 One of the reasons I use a wok is because I do not have to shake it. The heavier kernels fall into the hot oil as the lighter popped corn sits on top. I just turn off the heat while there is still a few seconds between pops. This way makes perfect popcorn and I rarely have unpopped kernels..
Love it, David! Appreciate you sharing your wok trick!